Yellowhouse – SeaDragon Gallery – Duck, NC: Regional and American Artisans. 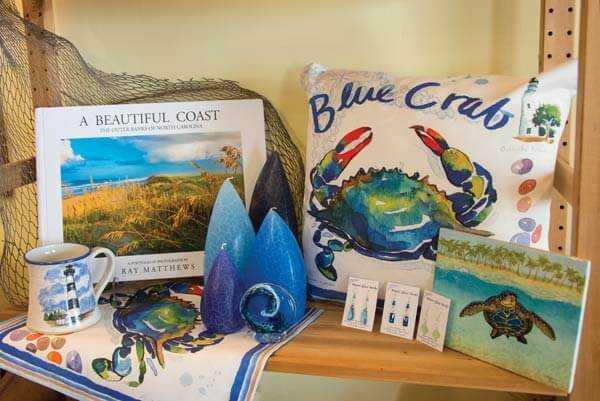 Since 2001, SeaDragon Gallery in Duck NC has celebrated the imagination and creativity of American artisans by offering an eclectic collection of traditional and contemporary handcrafts and fine arts. And we now welcome Yellowhouse Gallery to join our location, who is in their 49th year! 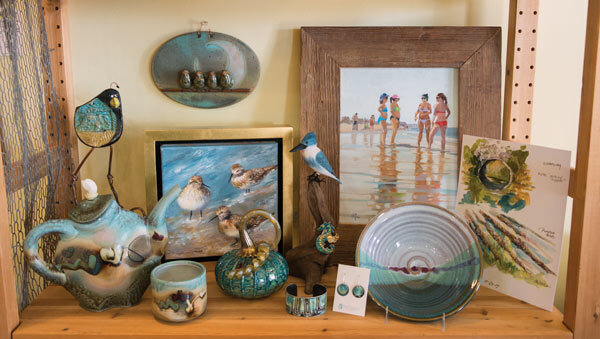 Our cheerful gallery is filled with jewelry and works in pottery, glass, metal and wood by local Outer Banks, North Carolina artists and by artisans from across the United States. SeaDragon Gallery has become a must visit destination for our many summer visitors who delight in the variety and uniqueness of the works on display. Each item in our collection is selected with an emphasis on design and craftsmanship. In 2016, founder Paula Myatt sold SeaDragon Gallery to Eve Turek, who along with her husband Pete also owns Yellowhouse Gallery. Located in Nags Head since 1969, Yellowhouse joined SeaDragon in Duck in 2018. The two shops are now connected with a custom built archway not to be missed! Eve brings an extensive knowledge of local art to SeaDragon, as well as a lifelong love of fine American craft. She is an owner/artist, and brings her internationally award-winning photography to the combined gallery offerings. Paintings, Pottery, Jewelry, Art Glass, Photography, Maps, Wood Carvings, And More!